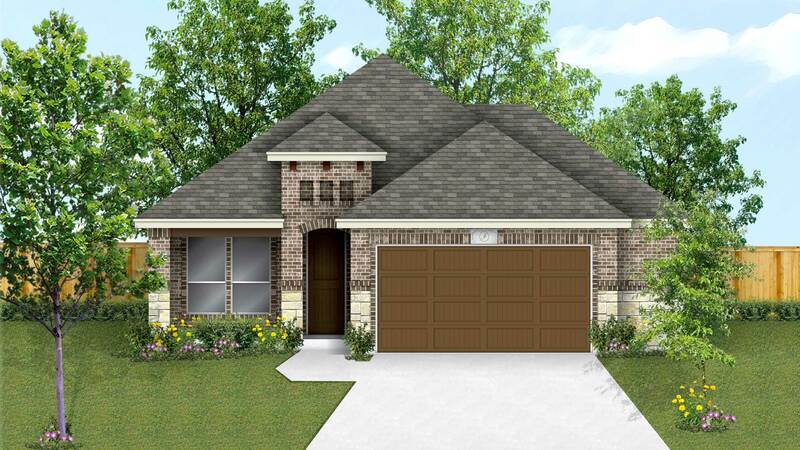 This 4-bedroom home is perfect for large families, families that need a home office, or families that need a great guest suite. With 4 bedrooms, 3 baths and a large living area comprised of a large kitchen and dining area and a huge brightly lit family room, this is the perfect family home. The master features an entry nook, a nice master bath with double vanity, a large shower with built-in bench and large walk-in closet. Bedrooms 2 and 3 are off the gallery, separated with their own hallway and share a full bath. The fourth bedroom is nicely tucked behind the kitchen away from the other bedrooms making it the perfect guest suite complete with a full bath, or an ideal home office space. The kitchen features a large pantry and an island with bar seating area. The family room has lots of windows and looks out over a large covered patio.The entry of the home features a long foyer and gallery providing excellent wall space for your favorite photos or art. An oversized 2-car garage provides plenty of room for two large vehicles with space left over for storage.